I have a little news that I'm still getting my head around. Honestly Charlotte recently screened at the Big Bang International Short Film Festival based in Greece, and a few days ago I learned that I had been recognized with the award for Actress in a Leading Role. 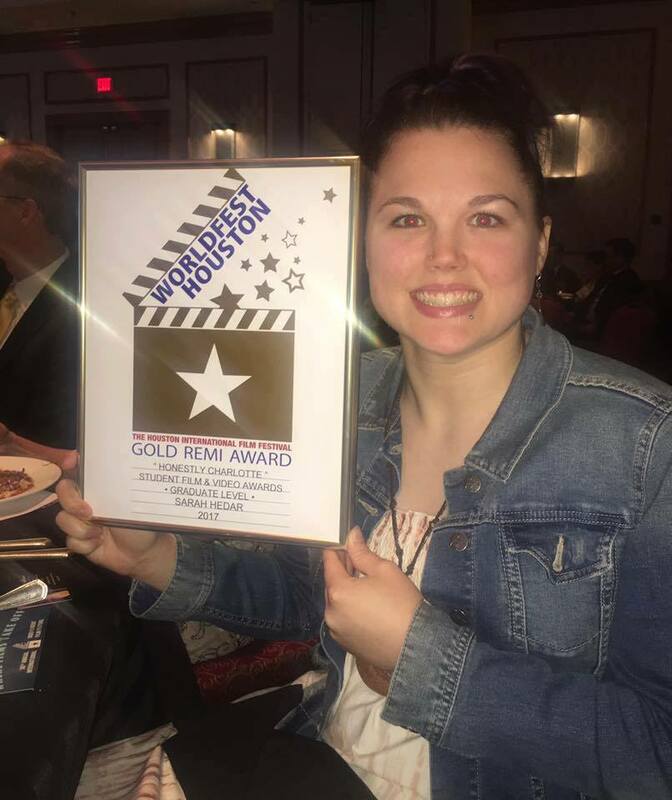 This was on top of the film winning a Remi award for our director, Sarah Hedar, at WorldFest Houston in Texas last month. My head might be spinning a little. I'm flattered by my award and so happy for Sarah, and so proud of our little film and the whole team that made it happen, most especially my partner Joan Macbeth, without whom none of this would have happened. Here a a couple of photos; Sarah was unable to attend the festival in Houston so that's our crew member Kat Hudgens, who happened to be in Texas and was kind enough to accept the award in her place. We're about to start filming Honestly Charlotte: The Series, and our Indiegogo is still go-going! I'll have more news soon.